With interest rates down and inventory up, many savvy consumers are taking a good, long look at investing in a home of their own. The benefits are big and the rewards buying a home long-reaching. For some consumers – a down payment is the only thing standing between them and the dream of home ownership. In today’s economy, it’s not always easy to save the necessary funds to not just get into a house of your own, but get a decent interest rate as well. Here are some simple things you can put into your personal or family action plan for saving that down payment money in less time. Get in the know. Like any good budget or savings plan, the first place to start is to determine where you are NOW in relation to your credit score, your monthly bills and assets. Contact me or a trusted mortgage professional to see how much home you qualify for and how much you’ll need to save to purchase your home. We can help you take a look at things like credit scores, loan requirements and interest rates now so you can be simultaneously doing ALL the things right during this savings period to ensure the most favorable rate and terms. Set a deadline. I know deadlines seem ominous to some, but they can be powerful motivators to accomplish great goals. (And buying a home is a pretty big goal!) Again, once you know where you are – it will make setting a timeline easier. For some, step one of the savings plan may be paying down or even off some past debt with high interest – which could back up your time table. Together, we can help you figure out which direction is best for you. 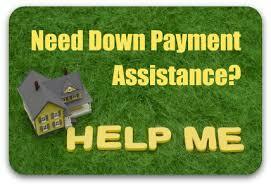 Create a “Down Payment” account. Ever see those little ceramic pots with “House Fund” or “Vacation Fund” on them – or the piggy banks with the “do not open ‘till holiday shopping time” labels? By opening a savings account just for your future home purchase, you help lessen the likelihood of tapping into that money for other things. Check with your bank, or even local credit unions to see if they offer any special interest rates or programs for first time home owners looking to buy. Automate your savings. Out of sight, out of spending reach. Once you’ve figured out how much you can sock away every month, have that amount automatically withdrawn from your account and put into savings before you even see your paycheck! (Most employers can do this in a simple step if you are direct-depositing. Ask about IRAs. If you have IRAs, check to see if yours has any first time home buyer benefits. Some will allow you to invest a considerable amount of pre-tax dollars and withdraw without penalty for home purchases and they often provide more return on your investment than a traditional savings account. Check with your IRA provider or financial advisor first! Every little bit counts. This is the fun part. Get a money container for your house. You can make it as decorative or as plain as you like. From a beautiful glass jar (where you can see your results) to a coffee can (where you can hide your treasure) – and make a pact with yourself, your spouse or significant other and even your kids. Each week put whatever you can in the jar towards your house fund. From leftover change from the store, to the couple dollars here – into the jar it goes. In fact, whatever you’d NORMALLY spend – save instead – such as forgoing the coffee house vente latte at $6 a pop everyday – that’d be $42 a week you could put in there. Or pack a lunch instead of buying. You could save $5-$10+ a week. That’s another $25! (Plus you’re not wasting food! Bring those leftovers to work!) Make it a fun thing every day and at the end of the week count up your accomplishment, put it in an envelope with a deposit slip and put it into your savings. It’s amazing how fast it can add up when you make it a contest or a fun thing for the whole family! Saving for a home of your own can be challenging, but it can be exciting too. The feeling of reward and accomplishment is extraordinary. Start with these seven steps and very soon you too can enjoy the long term benefits of setting down roots and investing in your future. Know that I’m always here to help. As a Real Estate Professional and Neighborhood Specialist, I can help you customize a savings plan all your own so that you can be sure your family is heading in the right direction every step of the way! Call me today. Saving for a home of your own can be challenging, but it can be exciting too. The feeling of reward and accomplishment is extraordinary. Start with these seven steps and very soon you too can enjoy the long term benefits of setting down roots and investing in your future. Know that I’m always here to help. As a Real Estate Professional and Neighborhood Specialist, I can help you customize a savings plan all your own so that you can be sure your family is heading in the right direction every step of the way! Call me today.